Enjoy the piece of mind provided by this beautifully handcrafted Vintage Mission Computer Desk. Available in a generous selection of premium North American hardwoods, this stunning desk is built-to-order based on your specific design preferences. 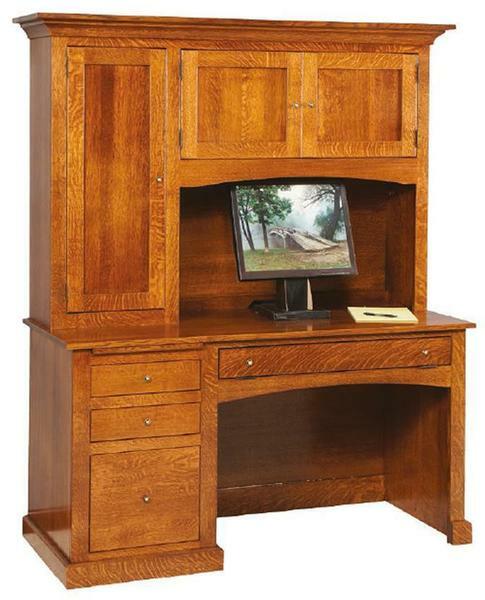 Contact one of our friendly & knowledgeable Amish furniture specialists for additional information on this mission style desk or any of our solid wood office furniture.